This is right up little guy's alley. What a great place to enjoy, I would have played with that shark a lot also. I've never heard of that one. Neat-O. Maybe one for the granddaughters. You are a sly one fooling the boys like that, a neat trip to green valley and then a spy museum! By the time school starts they will have lots of stories to tell the other kids. Don't you just love surprising your kids like that? I used to do the same with my girls. Enjoy your summer with the boys! That looks like a lot of fun and is some place I'd enjoy taking my family to. Now this is an adventure! You are the most fun mom EVER! What an awesome surprise for the boys, they will remember it forever. I might even like the shark attack myself! I think my favorite picture is the first one, where they are spying on people. Now all they need is a shoe phone. We are going there over Christmas break this year--you made it sound even better than I heard it was! what a fun surprise! we haven't been to that museum yet but we will have to make a point to see it next visit! OMG they are going to grow up now with a phobia from the time their mother LIED to them!!! The horror. All little boys should have a mom like you!!!! 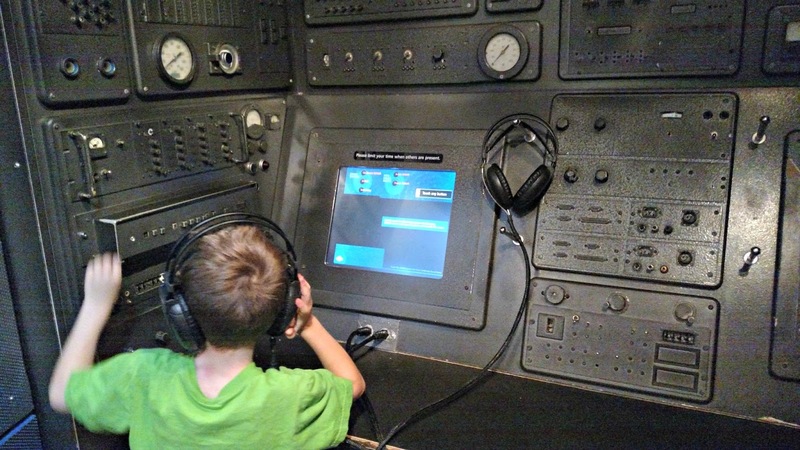 The closest museum we have in Omaha to that is: Strategic Air Command & Aerospace Museum. It's pretty cool. We haven't been to it in awhile. 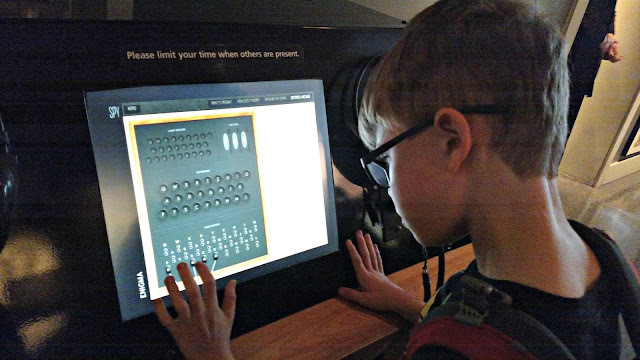 We went to the Spy Museum years ago, when my kids were younger. Totally worth the ticket price. 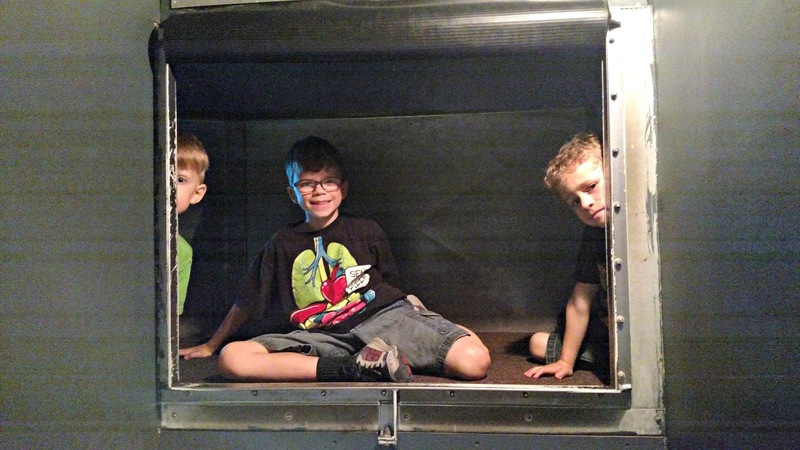 My kids loved it and it looks like yours did too. We went to that museum years ago...and LOVED it! I liked that they charged a fee because it eliminated the crowds...and the riff raff. They can maintain all of the displays with the money they charge, so it is okay by me. I hope you had as much fun there as we did. And it was informative too!